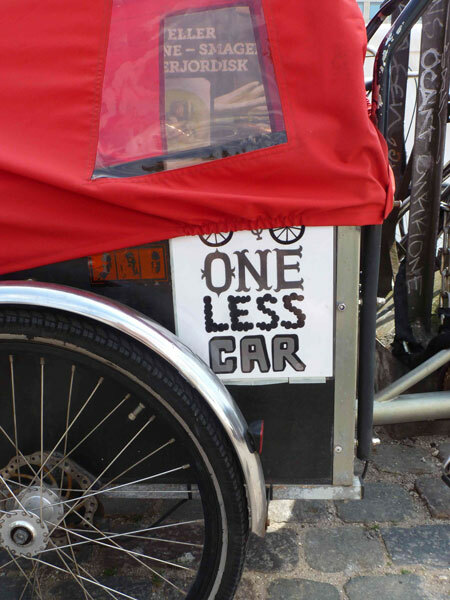 Enough with Bikes vs Cars – It’s about Better Cities! Just this week, I watched international press report on the findings of UBC Public Health research, verifying what we all knew. Painted bike-lanes reduce the risk of accidents by 50%, and separated bike-lanes reduce the risk by 90%. I suppose it illustrates part of the problem, that at this point I feel the urge to point out I don't consider myself a “cyclist.” Doing so would seem as odd as calling myself a walker, a transit-rider, or a driver. I’m an urbanite, someone who loves living in cities, and an urbanist who has studied how cities work all of my adult life. Really, I’m a citizen. I point that out perhaps because there is too much pitting of self-described “drivers” and “cyclists” against each other. Most North American families are actually multi-modal – they drive, walk, and probably take transit and bike in at least certain circumstances, if not routinely. Certainly many who cycle, also drive, and visa versa. My urge perhaps reveals that cycling has been successfully framed as fringe or idealogical, a frill or fad, rather than a simple mobility choice, and an important aspect of pragmatic, cost-effective city-building. We need a more sophisticated discussion about how we get around in cities, and it starts with this -- it's not about loving your bike. It's about loving what biking does for cities. If more cars make cities worse, the opposite is true for bikes. Expanding urban biking through separated bike-lanes is about making better, fiscally smarter, healthier, more flexible and resilient cities. Bikes are hardly a silver bullet, but they can be a big part of better city-making. Canadian cities aren’t alone in recognizing the opportunities urban biking provide. In fact, we’re behind. Inspired by successful cycling cities like Copenhagen, Amsterdam and Bogata, cities like New York, Chicago, Minneapolis and Portland in the US, Sydney and Melbourne in Australia, Paris in Europe, and Montreal here in Canada are transforming themselves around urban cycling. They aren’t doing half-measures. They’re making big moves. 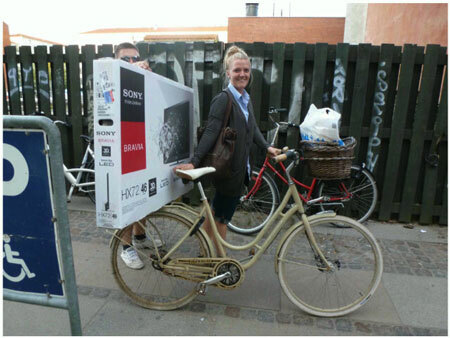 City-builders across the globe understand the relative cheapness of the bike mobility option, in both cost and space. Dollar for dollar, separated bike-lanes move people more cost-effectively from a return-on-investment perspective than any other way of getting around, especially once a tipping point of cyclists is reached – and that doesn't even factor in the well-documented public health cost savings that come from wide-spread biking. Global studies have shown investing in cycling infrastructure actually saves society public money per kilometer cycled! The math is enough to make any real fiscal conservative hop on a two-wheeler. Cities have also embraced the culture, the “chic” and city branding benefits, and the resulting boosts in quality of life, community-building, economic development, tourism, and social connections. Many aspects of urban cycling aren’t about math, and that's ok, as not everything that counts can be counted. Most pragmatically though, city-builders understand that bikes make cities work better because they take a lot less space. Even if cars were clean in emissions, the biggest challenge with car–dependency is a space problem. There isn’t enough room on the roads and parking lots of cities, to have everyone drive. They just don't fit, and our failed efforts to make them fit, cost a staggering amount. This striking picture illustrates the point. If all the people we anticipate coming to our cities try to drive, cities fail, our public life fails, and our economies fail. Even if they prioritize driving, global city-builders recognize the best thing those who feel they need to drive could hope for, is for OTHER people to be able to walk, bike and ride transit. Multi-modal cities make it easier for EVERYONE to get around – including, counter-intuitively, drivers. For us in Vancouver, its been about becoming more multi-modal for decades, a city of choices and options. A city where the local economy and quality of life is resilient and resistant to the growing car congestion paralysis seen in too many world cities. It hasn't been about being anti-anything. It’s been about being pro-mobility freedom. Pro-city. We’ve understood in Vancouver for years that mobility flows from smart land use choices. The best transportation plan is a great land-use plan. That means mixing uses, in compact and complete communities, with strong, consistent urban design. We know that trying to address congestion through more roads always fails, because of the law of congestion and the principle of induced demand. As the old saying by Lewis Mumford goes, adding highway lanes to deal with traffic congestion is like loosening your belt to cure obesity. 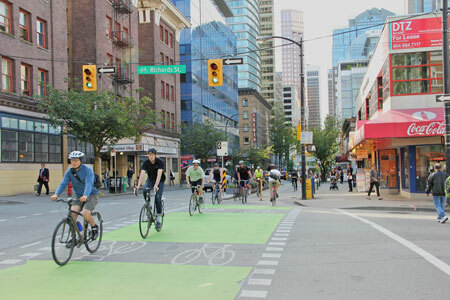 Watching Toronto’s debate, we in Vancouver might feel some pride in the strides we’ve made over generations toward becoming a more bikable city. Most recently we’re drafting behind (cycling pun intended) a highly successful hosting of the International VeloCity biking conference earlier this year, and the City’s green mobility targets tied to the lofty aspiration of becoming the Greenest City in the World by 2020. I repeated these questions recently to a large group of Copenhagen builders, engineers and architects I was bike-touring around the city. 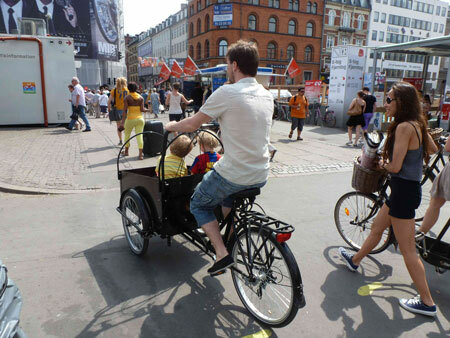 They laughed, as Danish cities have separated bike-lanes on MOST of their streets, not just a few. They actually thought I was kidding. When I get that “how many are too many bike-lanes” question, I can’t help but imagine being asked “how many are too many sidewalks?” “Don't we have too many buses or transit lines?” “We have a perfectly good road for cars a few blocks away, don't we?” Perhaps these are unfair comparisons (a respected expert told me he thought so, as “everyone needs to walk”), but I don't think so. 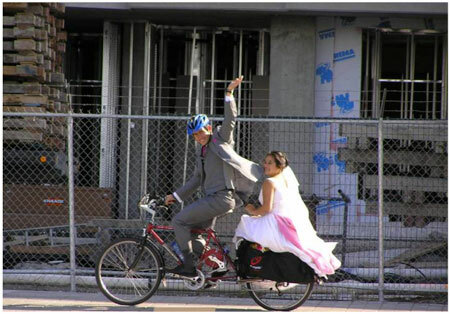 Not if we really take the idea of viable urban cycling seriously. Like walking, transit and car-driving, a few separated routes through a large, still car-dominated city and region, don't create a viable choice in how to get around for people aged 8-80. For people of both genders and all ages to choose a mode of movement, a system or network is needed – complete, connected, efficient, predictable, and safe in both perception and reality. We have a long way to go, in Vancouver, and in most cities. The pragmatic, cost effective power of urban biking could go a long way in getting Toronto that old nick-name back – “The City That Works.” Keeping the Jarvis bike infrastructure, and using that $300,000 to build more, would have shown they were serious about that. Instead, the wrong discussion, led to to the wrong decisions. Let’s have that more sophisticated discussion start now, in Toronto, in Vancouver, and every place struggling to make their city work better.